Many sketches are early versions of paintings, but some exist on their own. Printmaking allows me to express similar concepts in several different incarnations. Clockwise from top right, images are: 1. 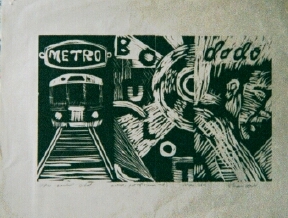 Metro Boulot Dodo (woodblock), 2. 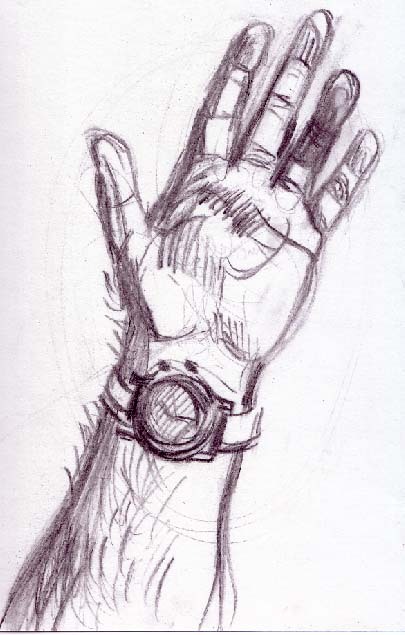 My Hand (charcoal), 3. 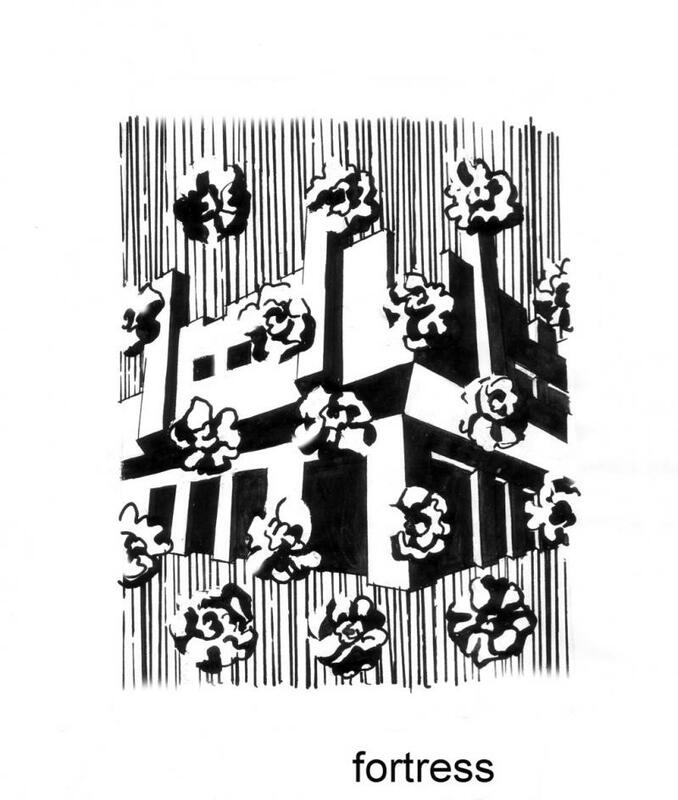 Fortress (pen and ink), 4. Kevin's Feet (graphite). Copyright 2009 Shawn Hill Fine Artist. All rights reserved.